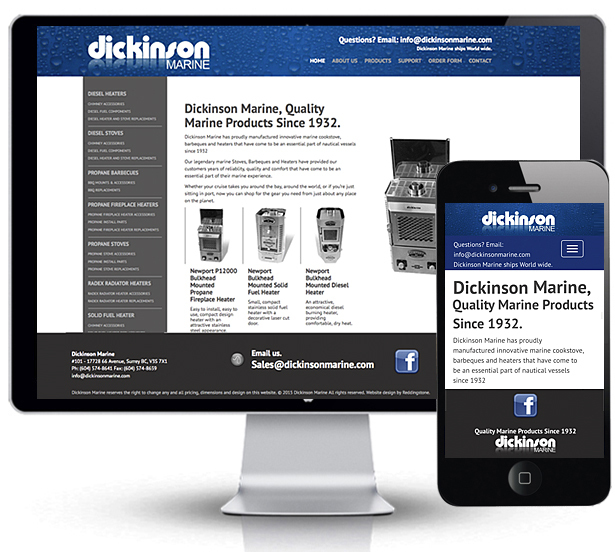 Reddingstone designers have completed developing the Dickinson Marine. The project involved cataloging and displaying their many marine products. We included responsive design into the custom Wordpress theme. Special consideration was to offer the user an open menu of the Products in the sidebar. This helps the shopper when they don't have to click into sub menus.